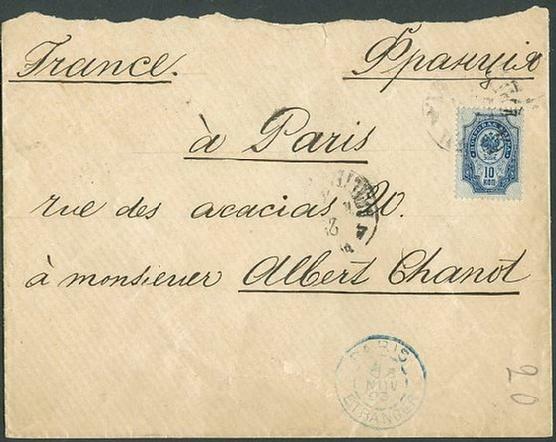 1893 Romanov monogramed cover (envelope), by Grand Duke Vladimir Alexandrovich from Imperial Russia to Paris France. 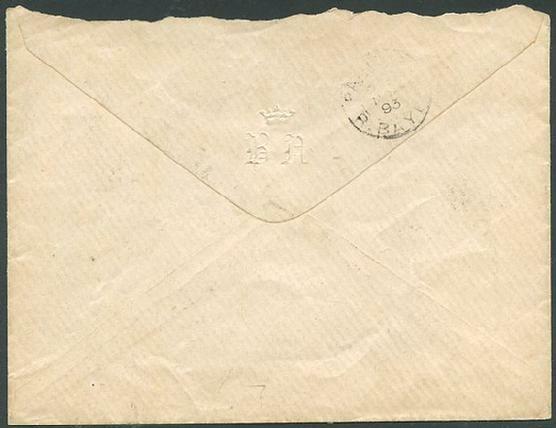 4 (17) февраля 1909, Санкт-Петербург) — 3-й сын императора Александра II и императрицы Марии Александровны; сенатор, член Государственного совета; генерал-адъютант, генерал от инфантерии, младший брат Александра III. Владимир Александрович был известным меценатом, покровительствовал многим художникам, собрал ценную коллекцию живописи.С 1869 товарищ президента (великая княгиня Мария Николаевна), с 1876 президент Императорской Академии Художеств. 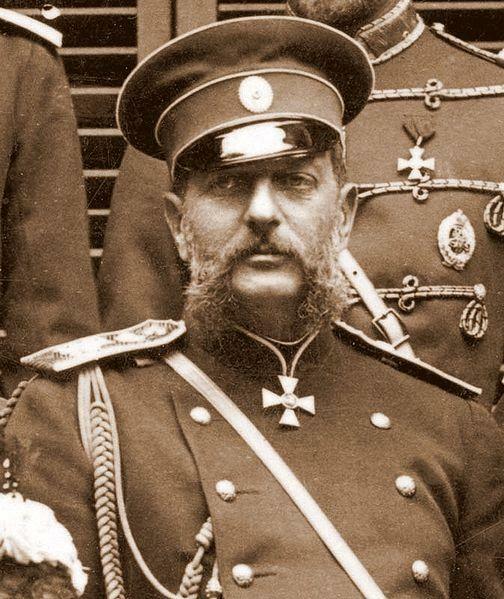 In his youth Grand Duke Vladimir Alexandrovich led a restless life of partying and drinking. A member of the European jet set of his time, he made frequent trips to Paris. At the French capital, he was nicknamed "The Grand Duke, bon vivant". His love for the good life let him to be portly at a young age, although later he slimmed down. He had a wide range of interest. He loved the arts; was a skillful painter himself and gathered an important book collection. Not as tall as his brothers, he was handsome with an imposing personalty but could not stand public criticism. He was known for his thunderous voice; was a keen hunter, and a well known gourmet. He gathered a collection of menus copied after meals with adding notations with his impressions about the food.